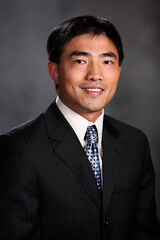 Dr. Yu earned his Ph.D. degree in Chemistry from Harvard University in 2009, after graduating from the University of Science and Technology of China (USTC) in Chemistry with the highest honor in 2003. With three years' postdoctoral research at Stanford University (2009-2012), Dr. Yu joined the faculty of Mechanical Engineering at the University of Texas at Austin in 2012 as an assistant professor of Materials Science. Dr. Yu has received a number of awards and honors for outstanding young investigators, including the '2017 Royal Society of Chemistry Fellow,' '2017 Camille Dreyfus Teacher-Scholar Award', '2017 SMALL Young Innovator Award', '2017 TMS Society Early Career Faculty Award’, '2016 Chemical Society Reviews Emerging Investigator Lectureship’, a '2016 Alfred P. Sloan Research Fellow' and a '2016 Emerging Investigator' by the American Chemical Society (Chemistry of Materials). In 2015, he received 3M's 'Non-Tenured Faculty Award' and the American Chemical Society's 'ACS-PRF Young Investigator Award.' He was recognized as one of the the '2014 Top Innovators Under age 35' by MIT Technology Review and among the '2014 Emerging Investigators' by the Journal of Materials Chemistry (Royal Society of Chemistry). Additionally, Dr. Yu was awarded the '2013 Ralph E. Powe Junior Faculty Award,' the '2010 Prize for Young Chemists' by International Union of Pure and Applied Chemistry (IUPAC) for best Ph.D. research, the '2007 MRS Graduate Student Award' by Materials Research Society, the '2005 Distinguished Undergraduate Teaching Award' by Harvard University, and the '2003 Presidential Guo-Moruo Scholarship' by USTC as the top undergraduate in Chemistry. The nature of research program in Dr. Yu's group is highly interdisciplinary, and it explores the basic principles in chemistry, physics, materials science and engineering to enable both fundamental understanding of novel materials with designed nano-architectures, and development of their technological applications. Truly motivated graduate and undergraduate students are warmly welcome! F. Zhao, X. Zhou, Y. Shi, X. Qian, M. Alexandre, X. Zhao, S. Mendez, R. Yang, L. Qu, G. Yu, "Highly Efficient Solar Vapour Generation via Hierarchically Nanostructured Gels", Nature Nanotechnology, Vol. 13, (2018), pp. 489. Y. Zhou, S. Zhang, Y. Ding, L. Zhang, C. Zhang, Y. Zhao, G. Yu, "Efficient Solar Energy Harvesting and Storage through a Robust Photocatalyst Driving Fast Redox Reactions", Advanced Materials, Vol. 30, (2018), pp. 1802294. Z. Fang, L. Peng, Y. Qian, X. Zhang, Y. Xie, J. Cha, G. Yu, "Dual Tuning of Ni-Co-A Nanosheets by Anion Substitution and Holey Engineering for Efficient Hydrogen Evolution", Journal of the American Chemical Society, Vol. 140, (2018), pp. 5241. H. Shi, Z. Fang, X. Zhang, F. Li, Y. Tang, Y. Zhou, P. Wu, G. Yu, " Double-Network Nanostructured Hydrogel-Derived Ultrafine Sn–Fe Alloy in 3D Carbon Framework for Enhanced Lithium Storage", Nano Letters, Vol. 18, (2018), pp. 3193. L. Zhang, Y. Ding, C. Zhang, Y. Zhou, X. Zhou, Z. Liu, G. Yu, "Enabling Graphene-Oxide-Based Membranes for Large-Scale Energy Storage by Controlling Hydrophilic Microstructure", Chem, Vol. 4, (2018), pp. 1035. P. Wu, A. Zhang, L. Peng, F. Zhao, Y. Tang, Y. Zhou, G. Yu, "Cyanogel-Enabled Homogeneous Sb–Ni–C Ternary Framework Electrodes for Enhanced Sodium Storage", ACS Nano, Vol. 12, (2018), pp. 759.